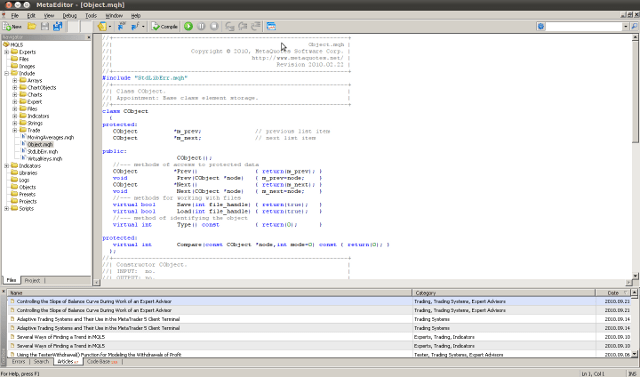 This tutorial Explains how to install Metatrader 5 in Linux based Ubuntu 11.04 Operating System. Wine lets you run Windows software on other operating systems. With Wine, you can install and run any windows applications just like you would in Windows. 2)Click on the System->Administration-.Synaptic Package Manager menu option. 4)Click on the Search icon. A Search Dialog box screen will be displayed. 5)Enter Wine and click on the Search button. The available Wine packages on the repositories will be listed. 6)Select Wine, and tick the option. Alternatively, you may right-click and select the Mark for installation option on the context menu. 7)The Mark additional required changes screen will be displayed. After installation finished you can enter your credentials in order to sign up for a new account or enter your account details if you already have any. if only NOW/ODIN and SHAREKHAN TT could be installed in Ubuntu…. I dont know how you got this to work, I get as far as entering credentials and then it freezes. Will this also work in 11.10? I think you may have forgotten one step. Doji and Brubaker both mention a freezing problem. I encountered the same problem. It is fixed by going to Wine>Configure Wine>Graphics. Then untick the box that says ‘Allow the window manager to decorate the windows’ then click ‘Apply’ then OK. The freezing stops. Wine has been running brilliantly on my Linux machine for about two weeks now. One more thing. 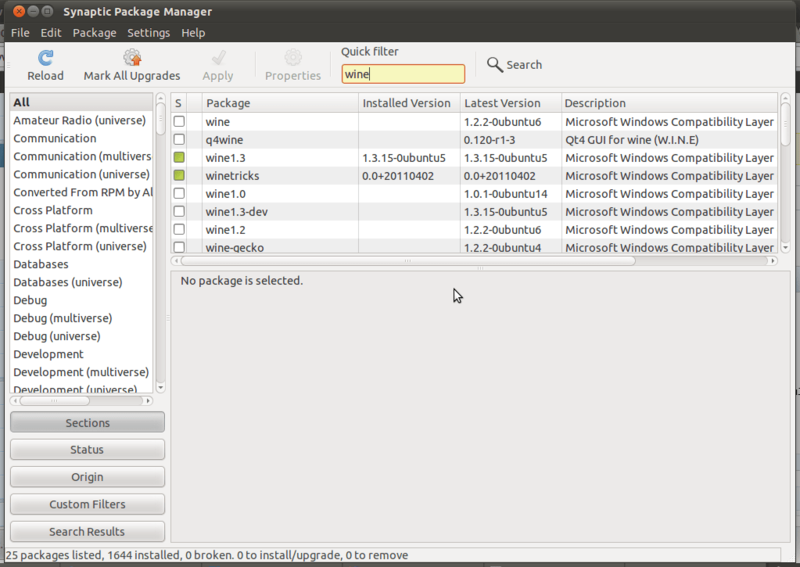 Best to upgrade to Wine 1.5.10 and check out WineHQ..org.